The start of the Christmas period in Winchester is marked by many special things and one of them is the Blue Apple winter show; this year we take our inspiration from the city itself. Come and join our timeless Pilgrim as he takes on the task of reminding our very own King Alfred what a remarkable place his city is. The king has stood and looked on from above for so long that he needs someone to refresh his jaded eyes. 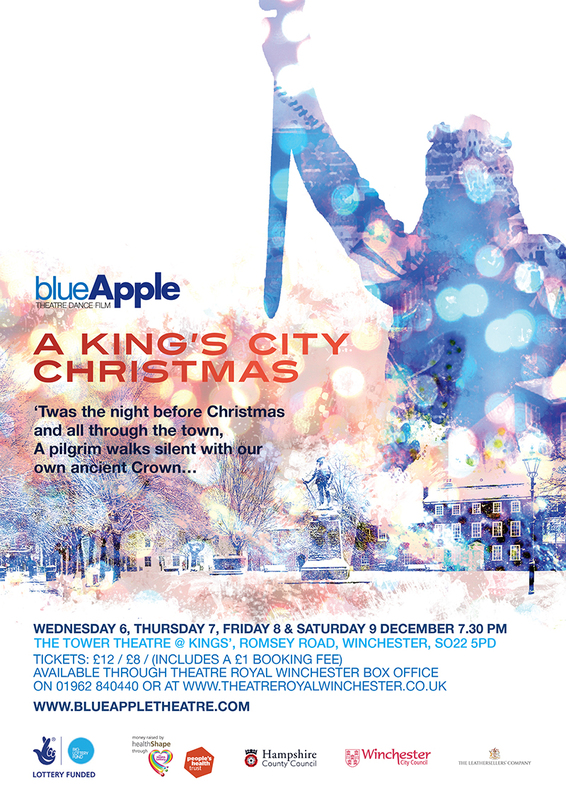 Tender, bittersweet but ultimately uplifting, A King’s City Christmas is a love letter to an extraordinary place. Told with Blue Apple’s unique charm, wit and sense of mischief this piece is the perfect way to kick-start your festivities with a spring in your step and joy in your heart. Theatre Royal Winchester box office. New days and times for the Autumn 2017 term. You can donate to us via MyDonate by clicking here. Could you be a Trustee with Blue Apple Theatre? Follow the link formore information as to how you could make a real contribution to our innovative organisation. Please click here for more information.